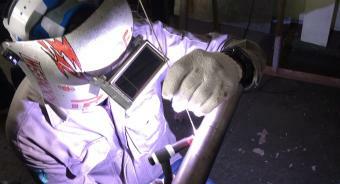 Our welders are expertise in titanium and alloy welding. 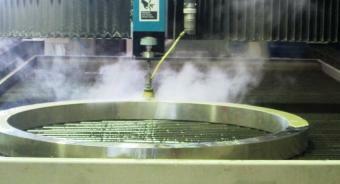 They were qualified the titanium welding follow the ASME standard. 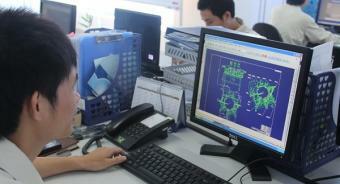 The standard document will also provide to our customer as 1. 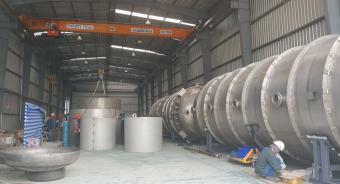 Welding Procedure Specification ..
Prolog Titanium Corporation also provide the engineering service to our customer. We can calculate, simulate and design the equipment as our customer requirement by our owned engineering program and software as COMPRES..
Prolog Titanium Corporation(Nonthaburi) are now expand our workshop into 5 workshops which have usage space more than 1,500 squaremeters Prolog Titanium Corporation(Rayong) has invested to build new factoryin Map Ta Ph..
Prolog Titanium Corporation has already invested the machine and equipment for fabrication work more than 30 MB which consist of - Bending AMADA RG100 , 50 , 25 - Cutting DURMA max 30 mm - CNC Machining Center - Water ..